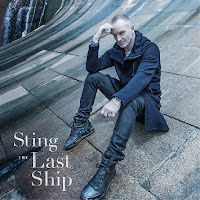 The Public Theater announced today that, for the first and only time, Sting will perform songs from his new album, The Last Ship, for 10 concerts to benefit The Public Theater in their intimate, 260-seat Anspacher Theater from September 25 – October 9. An evening of music and storytelling with one of the world’s most prolific artists, these performances will offer unique insight into the creative process of both his new album, to be released September 24, and his forthcoming play of the same name, premiering in 2014. All proceeds benefit The Public Theater and are tax deductible. Sting added, “The Public Theater, a New York institution committed to supporting all of the city's distinct communities, was a natural fit to perform this material that is, at its core, about the importance of community." Sting also has a long tradition of hosting special events for members of his official fan club. In addition to these 10 performances, 100 Sting.com Fan Club members will receive free tickets, selected via lottery, to attend a very special concert in celebration of Sting’s birthday on Wednesday, October 2 at The Public Theater. For details, please visit www.sting.com. American Express ® Cardmembers can purchase advance tickets beginning on Wednesday, July 10 at 6:00 p.m. EST through Sunday, July 14 at 10:00 p.m. EST at http://www.publictheater.org/content/view/296 or 212-967-7555. An exclusive pre-sale for Sting.com Fan Club members will begin Saturday, July 13 at 12noon EST and conclude Sunday, July 14 at 8:00 p.m. EST. Sting.com Fan Club members must purchase tickets by phone at 212-967-7555. Tickets will go on sale to the general public beginning Sunday, July 14 at 10:01 p.m. EST at http://www.publictheater.org/content/view/296 and beginning Monday, July 15 at 12noon EST by phone or at the box office. Benefit ticket prices range from $250-$2,500, with tickets at the top tier to include VIP seating and a pre-show meet & greet with Sting. Tickets are tax deductible for US residents. All performances begin at 8:00 p.m. This fall, Sting will release a new album of original material entitled The Last Ship. Drawing inspiration from the shipbuilding community of Wallsend in the North East of England where he was born and raised, Sting has crafted both an entire world and a close-knit community of original characters. In celebration of the album, these intimate benefit concerts at The Public Theater will reveal Sting’s influences behind the album through storytelling and visual projections paying homage to the traditional roots of the North East of England, with music from pub-like folk tunes to a wall of sound from Sting’s full band, many of whose members also hail from the North East.